New Caledonia is a gorgeous archipelago that falls under French territory. More than 280,000 people call the island nation home, combining a charming blend of the French and Melanesian. New Caledonia offers you pristine, secret beaches, thrilling outdoor adventures, and warm hospitality. The top attractions include Amédéé Lighthouse, Aquarium of the Lagoons, and Lifou Island. Prepare yourself for wonderful island adventures, because cheap flights to New Caledonia are now available for a limited time! New Caledonia is home to La Tontouta International Airport (NOU), which is a 40-minute drive from the city centre of Nouméa. Go island hopping while in New Caledonia and make magical discoveries. See the ruins on Amédéé Island. Indulge in the sight of colourful corals and numerous marine creatures around Lifou Island. 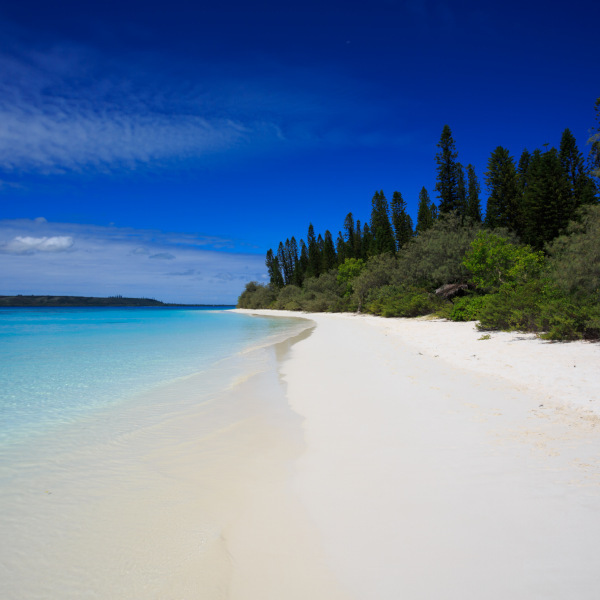 The beaches of New Caledonia provide one of the top reasons you should visit. Swim through the turquoise waters off the coast of Baie de Jinek. Explore the beautiful coastlines surrounding Oro Bay. Discover magnificent canyons, explore caves or check out various shipwrecks. Enjoy thrilling kayaking down a river or get awesome views with exhilarating microlight flights! New Caledonia has a tropical climate, with warm to hot daytime temperatures throughout the year. A tropical rain season coincides with the summer (December to February) while rain volumes are lower in the winter (April to September). The best time to visit New Caledonia depends on what you plan to do. If you’ve come to enjoy whale watching, visit the country between July and September, which is also a great time for snorkelling, diving, hiking and enjoying the beach. For festivals such as the Mardi Gras and Nouméa Faerie, visit during the summer. 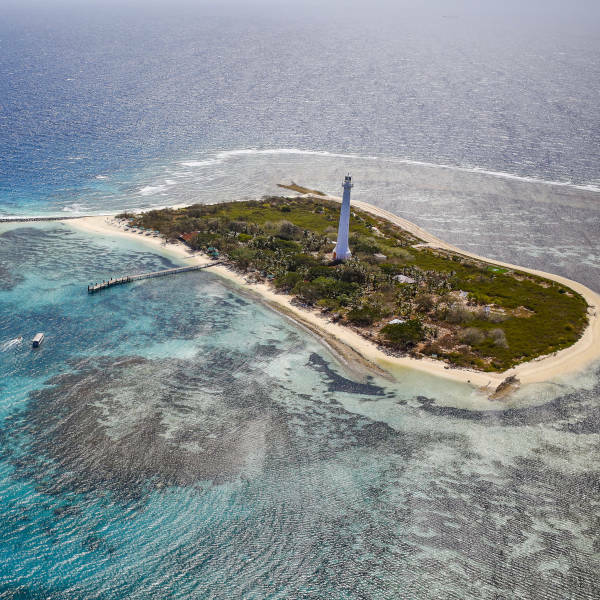 Save your money and get cheap flights to New Caledonia by avoiding visiting between September and December, which is the busiest period in the French territory. New Caledonia offers you an island adventure that you will never forget. With amazing coastlines, exciting outdoor activities and welcoming nature of the locals, you will end up longing to visit the archipelago as much as you can. Explore the islands of New Caledonia. There’s the Isle of Pines, the ‘Jewel of the Pacific’, known for its white sand beaches and tall pine trees. Then there’s the stunning Îlot Maître, home to beautiful hotel establishments with stunning locations over the turquoise waters. Many other islands are waiting for you to discover, including Lifou Island, Maré Island, and Île aux Canards. You’ll expect to find great beaches in an island destination like New Caledonia, and you won’t be disappointed! Meet the various marine creatures with diving opportunities off the coast of Plage de Luengoni on Lifou Island. On the Isle of Pines, there’s Kuto Bay, one of the island’s most bewitching stretches of coastline. Head to the second largest island in New Caledonia, Maré Island, to enjoy the turquoise waters of Yejele Beach. Other scenic beaches you can find are Baie de Jinek and those around Oro Bay. 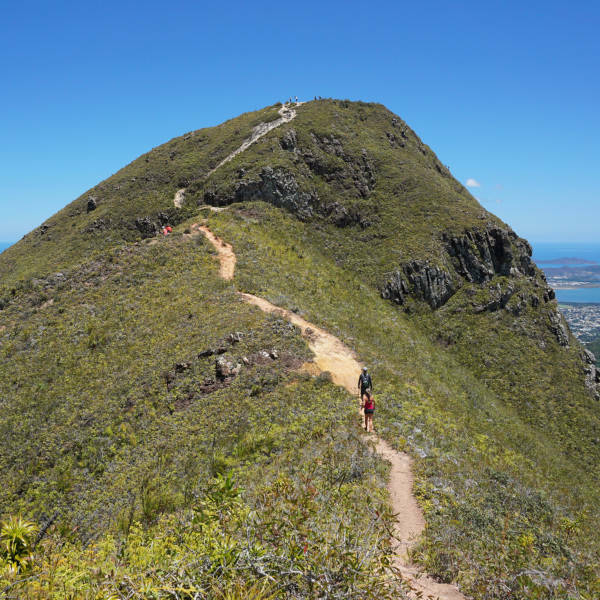 A diverse selection of outdoor activities is another highlight you can look forward to with a visit to New Caledonia. Enjoy the thrill of kayaking along the rivers or take to the skies with microlight flights! Explore the various caves on the islands and discover the shipwrecks. Spending time on the archipelago even offers you the chance to catch sight of humpback whales. Compare several airlines and book your cheap flights to New Caledonia online at Travelstart! Make sure you are up to date on all your routine vaccinations before travelling to New Caledonia. These include vaccines for measles-mumps-rubella (MMR), diphtheria-tetanus-pertussis, varicella (chickenpox) and polio. Ensure you get your yearly flu shot as well. Make sure that if you have travelled from a country where yellow fever is prevalent, bring proof that you have been vaccinated. • Avoid contact with the sea urchins, as they are poisonous. • Refrain from touching or standing on coral structures, which can cause scrapes that swell, and damage the coral. • Avoid the sea snake known locally as Tricot Rayé, which is venomous.